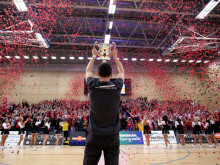 Team Northumbria triumphed in 2014, leading the way by nearly 20 points to bring the trophy home and ending Newcastle’s six year reign. As Team Newcastle look for revenge, 2015 is shaping up to be one of the closest years yet. 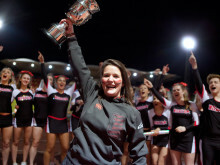 The win was just one of the highlights of 2014 for the University, which became the most improved university for sport according to the British Universities and Colleges Sport league (BUCS) and was rated as a Top 10 university for sport by the Which? University Survey 2014. 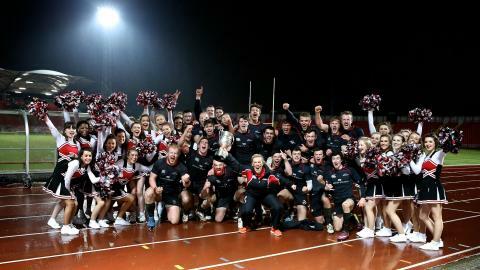 Colin Stromsoy, Head of Sport at Northumbria said: “As a University we are ranked in the top 10 nationally for sport, but a Stan Calvert victory was the missing piece of the jigsaw. 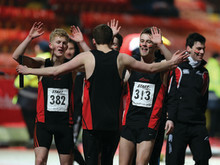 The Stan Calvert Cup has become one of the UK’s largest varsity sporting competitions, seeing hundreds of students from both universities compete and come together to support their university. 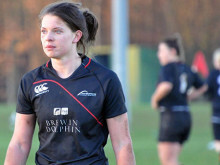 The competition promises to have something for everyone, with events ranging from rugby to water polo. Stan Calvert is named in recognition of a man who contributed 33 years of outstanding service and promotion of collegiate and community sport in the North East. Since it began in 1994, the competition has seen over 1500 students from both universities competing. Each year, the competition culminates by bringing Team Northumbria and Team Newcastle together for one final battle. This year’s finale will see both teams take to the arena at Sport Central for a high stake netball match. In a change to previous finals, netball will take centre stage and promises to be passionate and intense, with tickets expected to sell fast. Tickets for the final can be purchased at one of the official Stan Calvert 2015 box offices at Sport Central or Newcastle’s Sport Centre.